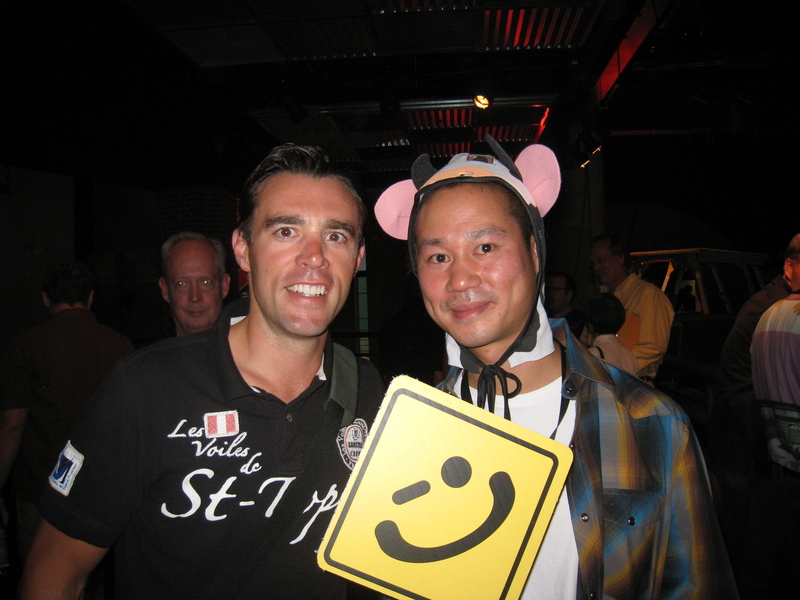 I had the good fortune of attending the Zappos Vendor party last week in Vegas. It was a lot of fun and I met a lot of the Zappos staff and Zappos Insights customers, plus had the chance to talk with Tony Hsieh the CEO. Tony was about to embark on an extended book tour to spread the word about connecting delighting customers, happiness and profits in business. From speaking with many of the Zappos staff it is clear it really is a fun place to work, everyone I spoke with had great things to say and a number felt like it was the job and company they had been waiting to get for their whole lives! So what is really different about Zappos? Clearly it is their culture, it is a culture that has been crafted and developed carefully overtime but it is not about Tony Hsieh. Yes as CEO he has significant influence and respect but the culture has been developed and owned by all of the staff that work there. It is not a culture that is imposed but guided by core values that provide direction to policies, processes and how the organization treats people. It is maintained by the energy of the people that work there plus rigorous hiring processes that ensure that new people are a cultural fit and reinforce what Zappos represents. Zappos has developed a “Wow” culture that inspires employees, delights customers & rewards shareholders….. which happens to be the vision of our company…. This entry was posted in Customer-Centricity, Employee Engagement, market culture, Market Culture in Action, Uncategorized and tagged corporate culture; marketculture; zappos. Bookmark the permalink.